If you often feel overwhelmed by stress and anxiety, then carefully following the principles and simple strategies laid out in this book and implementing them in your life will bring quick relief and freedom from your pain in as little as 30 days. If stress and anxiety are not mindfully addressed, destructive behaviour patterns that contribute to one’s cycle of pain can run unchecked into the long-term, causing unnecessary further damage until you’ve finally had enough and decide to make a change years later. There were 4,623 male suicides in the UK in 2014, the second highest number in 15 years and the equivalent of 12 deaths a day. Three-quarters of suicides in the UK are by men. In the US it's even worse.The annual age-adjusted suicide rate is 12.93 per 100,000 individuals. Men die by suicide 3.5x more often than women. On average, there are 117 suicides per day. White males accounted for 7 of 10 suicides in 2014. Suicide costs the US $44 Billion annually!! There are some estimates that the US with 5% of the world’s population consumes 80% of its cocaine. And that’s just one drug. 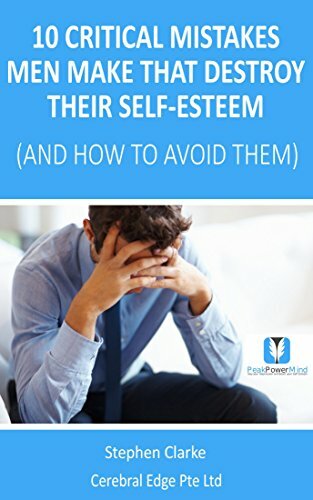 In this book you will find the 10 Critical Mistakes Men Make that Destroy their Self Esteem, and what you can do instead to get relief from these problems and take back your life. The strategies outlined in this book have been proven to work by leading authorities and experts in the areas of self-development, psychology and success. As they did for me, they will work for you if you put them to good use. Plus, they are free or cost next to nothing to implement. This book will reveal secrets to not only manage stress quickly and effectively without alcohol and drugs, but also proven principles for time management, productivity, good health, improved personal relationships, but most importantly, honing self-awareness through which all the other benefits flow. These established strategies will do all this and also boost your self-esteem. Purpose: to help men who feel overwhelmed by stress and anxiety get quick and lasting relief and freedom from their pain, and boost their self-esteem in as little as 30 days. Background info: the search term “male depression” in Google returns nearly 18.1m results. Similarly, the term “male anxiety” returned over 19.7m results. The term “male stress” renders incredibly, 225m results! Proposed solution: the strategies outlined in this book have been proven to work by leading authorities and experts in the areas of self-development, psychology and success. Male stress can be managed quickly and effectively without alcohol and drugs, through utilising principles of time management, productivity, good health and improved personal relationships. 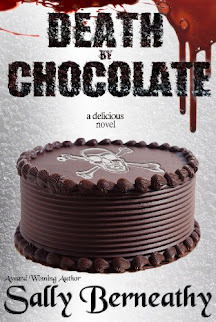 Editor’s review: this is a decent book and is clearly laid out. At only $3.99 on Kindle Amazon it is inexpensive for the concise information it presents. Recommended reading for all men. Noting that men often grind themselves down rather than get their stress handled properly. They may instead opt for unhealthy ways of coping. This information may potentially help men suffering from stress and depression, and hopefully, save lives, relationships, and careers. Importantly, it might be worthwhile for wives, partners, sisters, mothers etc to get the males in their lives to read and implement the strategies in this book. It may lead to more attentive and stable males, better intimacy, less stressful lives and relationships. Men are more likely to then pursue their goals, education/skills goals, career and business progression. They may also have improved health and be open to new experiences. NB: This book should be considered as a complement to professional assistance rather than a replacement.